Dr. Joel Kuppersmith is a licensed psychologist who has been in private practice for the past 30 years. His office is conveniently located at 177 Main Street in Huntington. He is also a psychoanalyst, having received his post-doctoral certificate in psychotherapy and psychoanalysis at the Derner Institute of Advanced Psychological Studies, Adelphi University. He earned his doctoral degree in Psychology at the University of Mississippi, which was followed by a post-doctoral internship offered jointly by Downstate Medical Center and South Beach Psychiatric in Brooklyn and Staten Island. Following the completion of his academic and licensing credentials, Dr. Kuppersmith began an 11-year career working for the New York State Department of Mental Health at Kings Park Psychiatric Center. As a staff psychologist, he worked in both inpatient and outpatient services. He worked closely with psychiatrists in coordinating psychological treatment and formulating individual treatment plans. Dr. Kuppersmith served as chairperson of the ethics committee for the Psychology Department at Kings Park Psychiatric Center. He is currently an adjunct professor of Psychology in the Clinical Psychology Doctoral Program at Adelphi University. He was also an adjunct professor at Hofstra University. 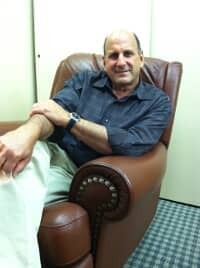 For the past 30 years, Dr. Kuppersmith has treated a variety of psychological problems including depression, anxiety, post-traumatic stress disorder, adult children of alcoholics, insomnia, and marital/couple and family conflict. Recent developments in the theory and treatment applications in these areas have shown clinically improved outcomes.